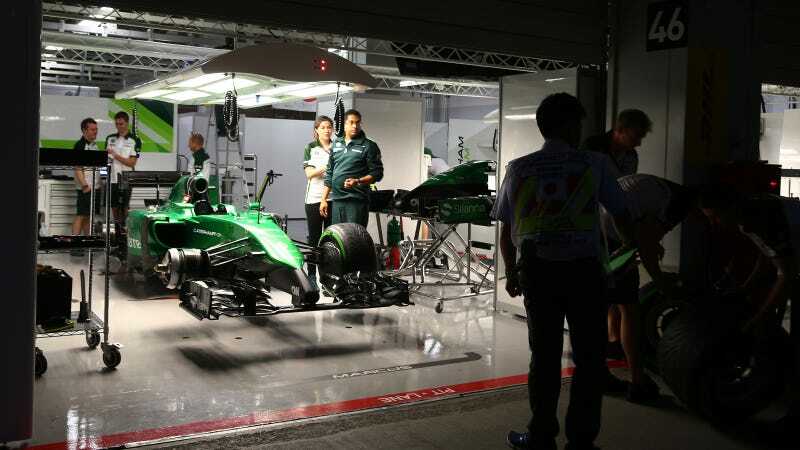 Just after successfully crowdfunding their entry to the final Formula One race of the season at Abu Dhabi, Caterham quietly let its entire 230-member backroom staff go. This doesn't bode well for their continued existence in 2015, that's for sure. Per The Guardian, workers at Caterham F1 have not been paid since September, so this is the final crushing blow for the staff who has faithfully backed the troubled team throughout the end of the season. It is a crazy situation but the most ironic thing is that the majority of the team were pressing me to make them redundant so their redundancy claim forms could be up and running while I try to sell the team. If I sell the team they will be re-employed by the purchaser and those claim forms will effectively be ripped up. It is dismaying to see the amount of publicity surrounding the success of the crowdfunding on the same day that the entire workforce was made redundant while owed seven weeks' salary. The cynic in me would suggest that the two are not unrelated, and the good news has served as a convenient opportunity to bury the bad news. Some actively indicated that they did not want to be made redundant. 1MRT was the corporate entity that controls the workforce, and Finbarr O'Connell could not issue redundancy letters until just now because he was only recently appointed the administrator over 1MRT's assets. This is perhaps the most crushing part of any team going under: the dedicated staff behind them is left looking for work.